Bead Type: FP = Fire Polished Beads of fine quality, (round, faceted) Czech Glass. Findings: Crucifix, medal, eye pins, and chains are made of nickel silver or base metal parts (gold tone finish). 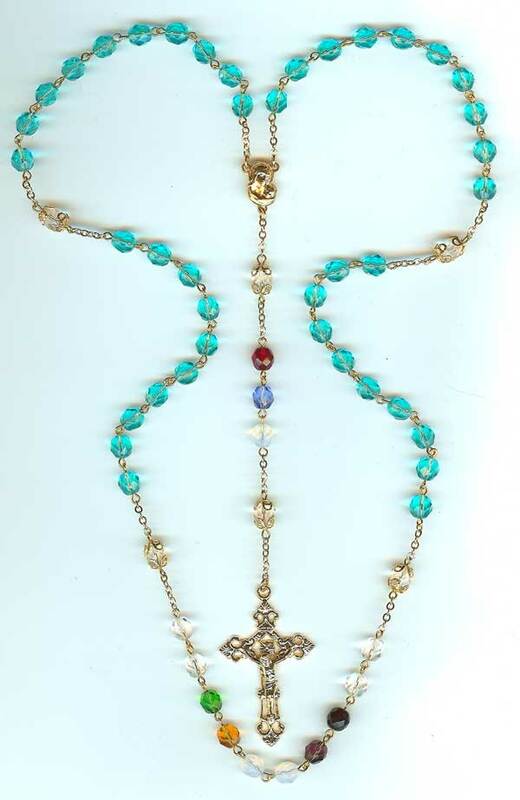 This Rosary was made for a Mom. Her birthstone is October. We are using the clear beads for the Our Father beads and for the neutral color. We have 7 children and six grandchildren's birthstones on this rosary along with the dad and mom. 3rd decade January, February, October, November, May - Grandchildren.